In general composites consist of two main components: A reinforcing fibre, for instance carbon or glass fibre, and a bedding matrix. Thus, "composite" is the technical term. 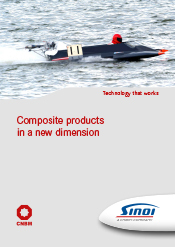 By mutual interaction of these single components, composites reach qualities of a higher grade than each of the involved components separately. The training centre was originally built in order to educate our staff in the theory and practice of fibre-reinforced composite technology when they first join the company, but courses for other companies have since been offered. To date, more than 1,000 people have completed courses at our in-house training centre. The training centre for fibre-reinforced composite technology runs training and qualification programmes for industrial employees in fibre-reinforced composites, and offers the relevant apprenticeships and seminars. Once qualified, these employees are capable of working in the highly skilled area of fibre-reinforced composite fabrication. As part of the tech transfer process, management staff is also prepared for their new roles at our training centre. Large-scale car body parts, fuel tanks, cardan shafts, leaf and coil springs, torsion bars, bumpers, chassis frames, stiffening elements, internal partitions and claddings for railway wagons, truck bodies.